Feeling sick from being pitchedaround in your seat? OSHA issued a health standard mandating a comprehensive hearing conservation program for noise exposed workers in general industry in 1983. However, a number of recent studies have shown that a large number of construction workers experience work-related hearing loss. In addition, current industry practice with regard to the use of engineering, administrative, and personal protective equipment to reduce exposure to noise is low in this industry. 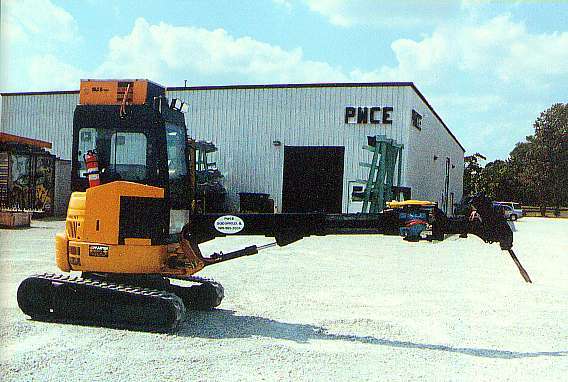 On this site you can make bids on their construction equipment auction, search for a Blue Book price, as well as the Green Guide to Equipment Values. You can also check equipment specs and check out the latest industry news. Esasa.com is a trading posts of sorts for surplus machinery divided in categories from transportation to textiles. Check out this informative site. It's easy navigation allows you to find answers to any questions you may have about this Minnesota company. 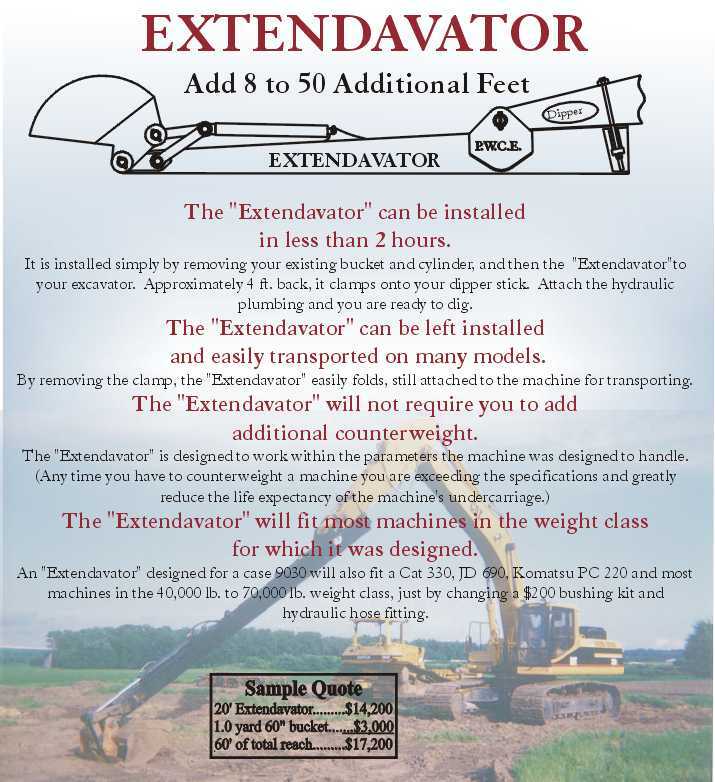 The Extendable Paw is a cost effective way to add extra reach and digging depth to your excavator. 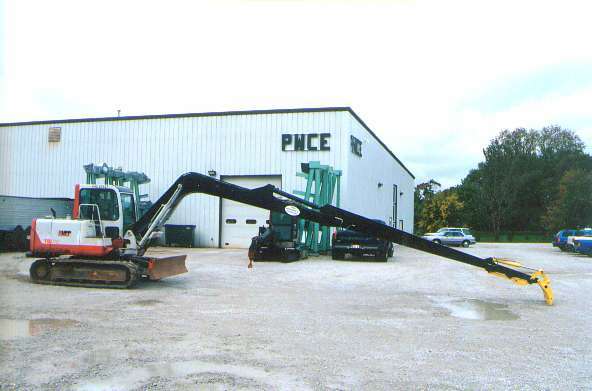 Compare the cost difference between the Extendable Paw and purchasing a larger machine to get the desired reach. 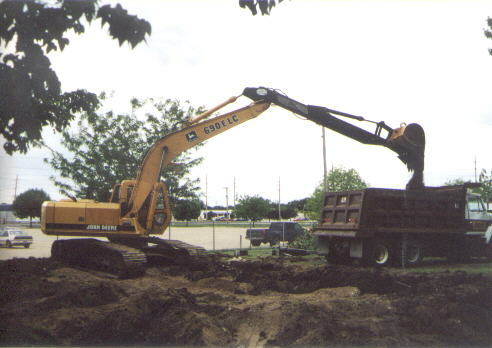 What do you get when you add a LONG DIPPER and a STRETCHED BOOM? Answer: The PCWE LONG FRONT.